The building housing the African Broadcasting Company studios in Aliwal Street – Picture courtesy Kevan Mardon. The Durban City Council sponsored the establishment of broadcasting in Durban. They were urged to this step by John Roberts, Borough Electrical Engineer and Lyell Tayler, Borough Musical Director, each strongly supported by their respective chairmen, Tom Shearer and Tom Burman, as well as the Mayor of the time, Mr Tom Wadley. The Marconi company was nominated to supply the broadcasting plant, a Marconi “Q” transmitter, which had a broadcasting radius of 100 miles. In the early part of 1923 the Durban City Council agreed to the establishment of a municipal radio station as they felt that as caterers for holiday makers who came to Durban in large numbers, especially in Winter time, and being equipped with a municipal orchestra second to none in South Africa, they were better able than anyone else to run a successful broadcasting undertaking. 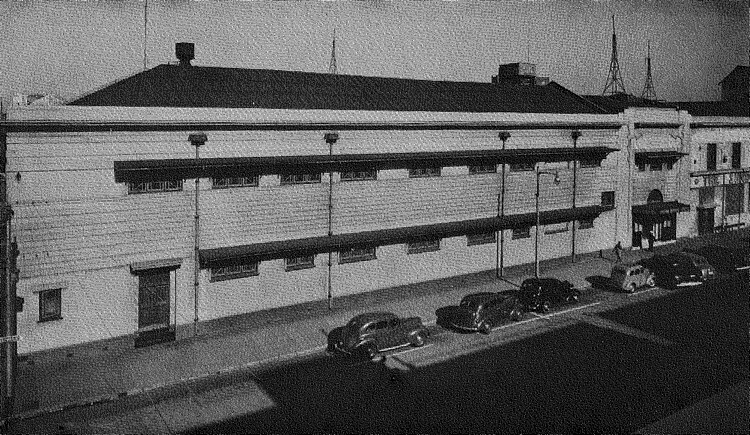 On 15 July 1935 the new African Broadcasting Company Studios were opened in Aliwal Street between Pine Street and West Street (Today Liberty Square ­– BP Building). With the expansion of the SABC in the mid 1950’s some of the studios were moved to Radio House in Gardiner Street between Smith Street and Victoria Embankment. This building sadly burnt down in the mid 1980’s. As the 1960’s approached the SABC stood on the brink of further great development and a brand new building was built called “Broadcasting House” situated at 100 Old Fort Road and was officially opened on 21 August 1967. However, on 01 September 1966 the studios for Radio Zulu were ready for use and the administration staff were able to move in. Radio Port Natal was able to carry out its official first broadcast from the new building on 01 May 1967. The first announcer was Sarel Marais and the first lady announcer was Laetitia Vorster. Radio Port Natal was sold and became East Coast Radio on 01 July 1994. Indian programmes started in Natal in 1932 and were broadcast from the old studios in the Durban City Hall on Mondays and Fridays from 18h00 to 18h20. There were no live broadcasts, the programmes were in Tamil, Telugu, Hindi, Urdu and Gujerati consisting entirely of gramophone records. The first announcer was Abel Peters, who was known as Thunder Bolt and first lady announcer was Devi Bhugwan who started in 1950 and left in 1965. Abel Peters was followed by PR Singh and SR Naidoo. The last announcer of the old Indian service was Mr Jugadheesan Devar when the service closed on 31 December 1985. For the children the first Aunt was Aunt Daya Pillay and last Aunt was Aunt Nirmala. On the 01 January 1983 the SABC introduced a new Indian Cultural station called Radio Lotus. The very first manager was Isabel van der Linde, the first lady announcer was Farida Ismail and first announcer was RB Ram. Afrikaans language was introduced in Natal in 1925. Zulu was introduced in Natal on a small scale on 17 January 1927 with a half-hour programme” from 21h30 to 22h00 by the Zulu Versatile Company! In February 1935 Hugh Travers Tracey was appointed Branch Manager of Natal and established Radio Bantu-Zulu broadcasts. The first Zulu lady announcer was Winnie Mahlangu who started on 07 January 1960 and retired on 01 April 1993. King Edward (K.E). Masinga (Um Fana We Keshi) was the first Zulu announcer in 1942. Radio Zulu officially opened up as a full time station on 01 June 1960. Hugh Tracey was internationally famous as an authority on African music and culture. Radio Zulu (Radio Bantu) had its first broadcast in 1942 from Johannesburg and in 1947 it had its first broadcast from Durban On 01 January 1963 it became FM. On the 01 August 1936 the South African government appointed a Board of Governors to take over the entire broadcasting service and administer it for the benefit of the state and styled the South African Broadcasting Corporation (SABC / SAUK). Control of broadcasting remained with the municipality until 01 July 1927 when it was ceded to the African Broadcasting Company Limited with Mr IW Schlesinger as managing director and chairman, the new company having already acquired the Johannesburg and Cape Town stations when it was first established on 01 April 1927. Today the original Municipal Studio houses, and very appropriately, the Natural Science Bird Collection. Good Morning -You are tuned to the National Network of Springbok Radio for Brighter Broadcasting opened 01 May 1950 and closed 31 December 1985 at 18h30. This is Radio Lotus (New cultural Indian Service) opened on 8 January 1983«tg.111 Radio Lotus “Your family friend”. The old Indian service of SABC closed 31 December 1985. Excellent and informative post. Moving away from the Transport History of Durban? Some time ago I was given a book by a long time friend called “Landmarks of Old Durban”, a series of documentary programmes broadcast from the Durban Studios of the South African Broadcasting Corporation compiled by H. Edmund Dawes. Printed by E.P. &Commercial Printing Company Durban 1948. Dawes compiled the scripts for the programmes and produced the programmes. Reading from the book, it seems Dawes was associated with Broadcasting in Durban from its inception. Your photo of the Broadcasting Studio in Aliwal Street is interesting as, if I recall correctly, it remained as such until it was burnt down. In the early 1960s Myklebust Dancing Academy were established there probably in one of the studio rooms. The late Laurie Kenton and his wife Ethne were associated with that dance studio. Dancing competitions were held in the City Hall. These were high social strictly black tie events. The male partner used to have a number on his back so that the judges could keep an eye on the competitors. The audience sitting on the periphery would bellow out the number to draw the judges’ attention to what they thought were the best dancing couple.